Beef Curious? Beef Curtans. 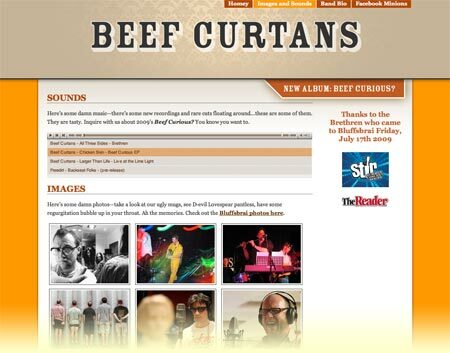 I really enjoyed making this site—going through old photos, taking new ones, hearing stories of the past, and witnessing the creation of their 2009 release, "Beef Curious?"